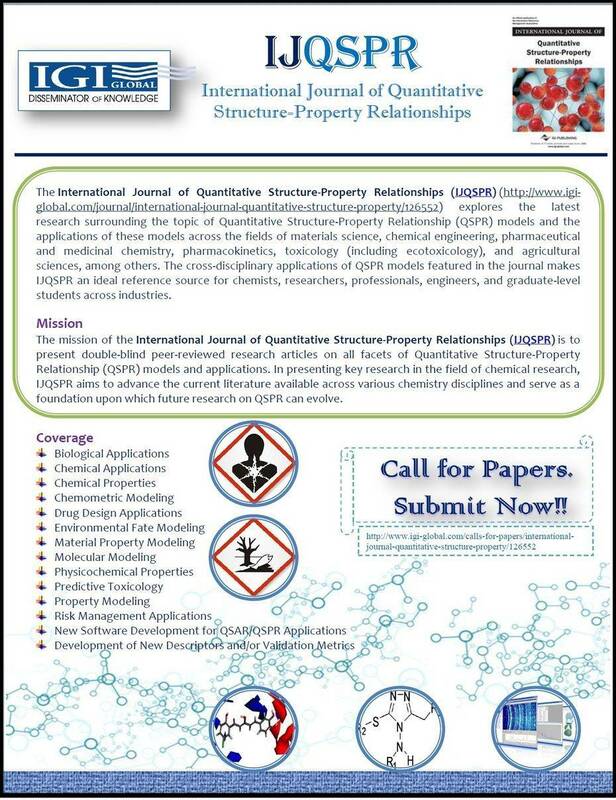 The International Journal of Quantitative Structure-Property Relationships (IJQSPR) explores the latest research surrounding the topic of Quantitative Structure-Property Relationship (QSPR) models and the applications of these models across the fields of materials science, chemical engineering, pharmaceutical chemistry, environmental chemistry, and agricultural chemistry among others. The cross-disciplinary applications of QSPR models featured within IJQSPR make this journal an ideal reference source for chemists, researchers, professionals, engineers, and graduate-level students across industries. 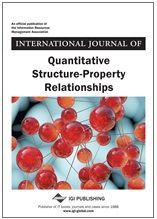 The mission of the International Journal of Quantitative Structure-Property Relationships (IJQSPR) is to present double-blind peer-reviewed research articles on all facets of Quantitative Structure-Property Relationship (QSPR) models and applications. 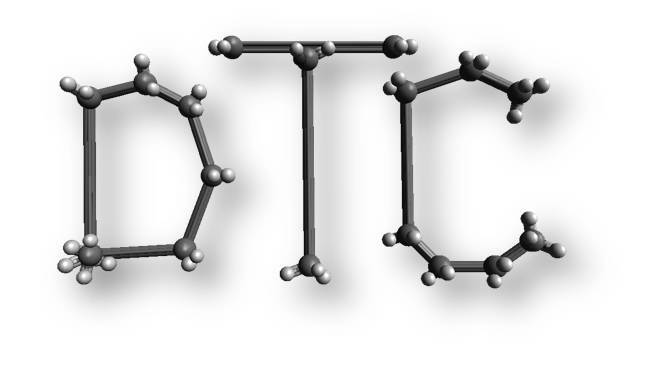 In presenting key research in the field of chemical research, IJQSPR aims to advance the current literature available across various chemistry disciplines and serve as a foundation upon which future research on QSPR can evolve. Dr. Kunal Roy is an Associate Professor in the Department of Pharmaceutical Technology, Jadavpur University, Kolkata, India. He has been a recipient of Commonwealth Academic Staff Fellowship (University of Manchester, 2007) and Marie Curie International Fellowship (University of Manchester, 2013). The field of his research interest is QSAR and Molecular Modeling. Dr. Roy has published more than 225 research papers in refereed journals. 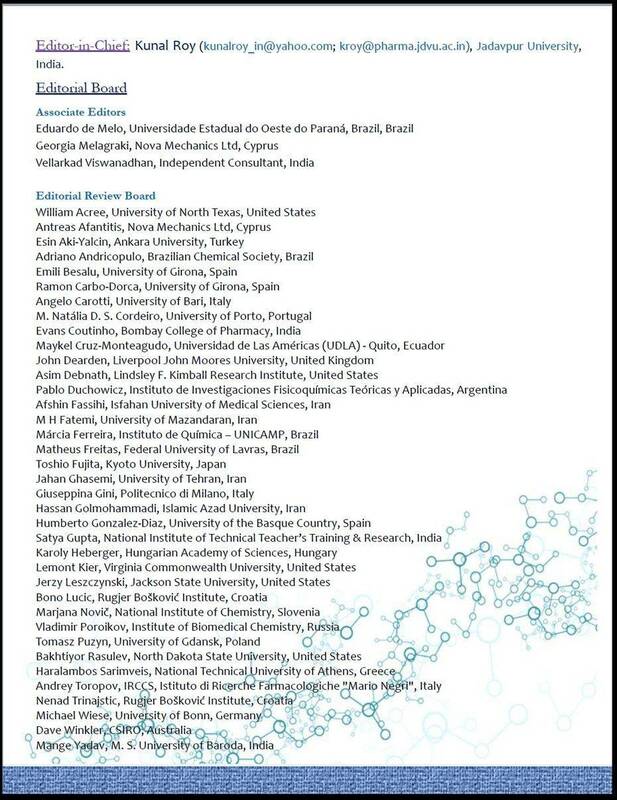 He has also coauthored QSAR related books entitled “Understanding the Basics of QSAR for Applications in Pharmaceutical Sciences and Risk Assessment” (Elsevier, 2015) and “A Primer on QSAR/QSPR Modeling: Fundamental Concepts” (Springer, 2015) and edited “Quantitative Structure-Activity Relationships in Drug Design, Predictive Toxicology, and Risk Assessment” (IGI Global, 2015). His current h-index is 30. Click on Flyer (image) below to Submit your Paper ! !